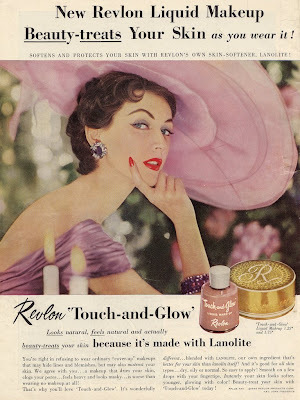 Vintage 1950s Revlon advertisement for liquid foundation. I'm not 100% sure on this... but is this Dovima (Dorothy Horan) featured in the ad? 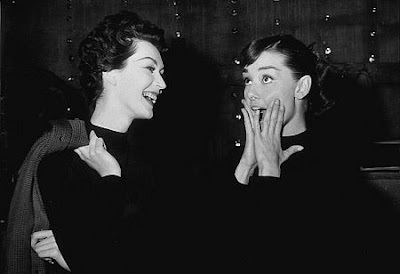 She looks a lot like the model in "Funny Face".